Is there an optimum treatment dose for sterotactic body radiation therapy (SBRT)? At the low end of the spectrum, Alan Katz found that 35 Gy in five fractions gave equivalent oncological outcomes with less toxicity compared to 36.5 Gy. At the other end of the dose spectrum, a clinical trial pushed the dose as high as 50 Gy in five fractions with disastrous consequences (see this link). A trial of high-dose-rate brachytherapy (HDR-BT), which is radiologically similar to SBRT, failed to find an optimum dose. But radiation safety is not just about the dose. We saw that two treatment schedules using the same prescribed dose (40 Gy in five fractions) had disparate toxicity outcomes (see this link). In fact, the 12-month toxicity outcomes of Dr. King’s high-risk study were recently presented and look excellent (see this link). It’s also worth noting once again the outcomes of the 5-year multi-institutional SBRT clinical trial that used 40 Gy in 5 fractions and had excellent oncological and toxicity outcomes (see this link). A few of the patients (n = 12) had up to 6 months of androgen deprivation therapy (ADT) to shrink their prostates prior to radiation. The difference was significant in both low-risk and intermediate-risk patients. The use of PSA3Y as a surrogate endpoint for biochemical recurrence is controversial. 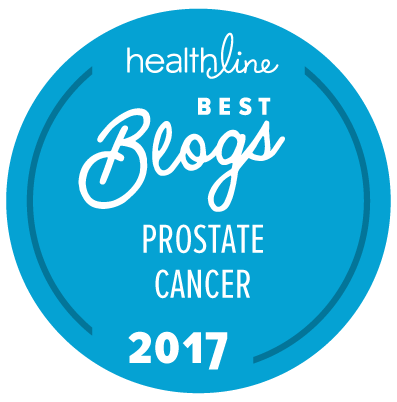 Because prostate cancer progresses very slowly and radiation, at the very least, reduces the cancer burden, it can take a minimum of 5 years, and as long as 10 years, before we start to see concrete evidence that such therapy is curative. Also, a longer time until the nadir is achieved has been found to be correlated with failure-free survival (see this link). Nadir PSA has been proven to be a strong predictor of a lasting cure (see this link), but no one can tell when the nadir will be reached. In a recent study comparing the PSA at 1000 days after SBRT or HDR-BT to the PSA at 1000 days after conventional IMRT, Kishan et al. reported that the PSA was lower for SBRT/HDR-BT. While the downward slope was about the same for the first 1000 days, the slope was steeper afterwards for SBRT/HDR-BT, indicating that a lower nadir would be achieved. After correcting for confounders like age, baseline urinary function, and time between treatments, late-term urinary toxicity of grade 2 or higher was 17 times greater among those who received 40 Gy compared to those who received 35 Gy. Since this study, the authors have changed their radiation planning to include faster (VMAT) linear accelerators (LINACs) and improved rectal dose constraints. Other changes that might mitigate rectal toxicity may include use of intrafractional tracking, rectal immobilization, and a rectal spacer. There was clearly a trade-off between SBRT dose and late-term side effects of treatment. Perhaps we will one day be able to identify those cancers that are curable with a lower dose, and treat only those patients with the more radio-resistant cancers with a higher dose. Some believe that such techniques as simultaneous integrated boosts or heterogeneous planning may cure the cancer in the prostate better with less damage to organs at risk. But these hypotheses remain to be proved in randomized clinical trials. Editorial note: This commentary was written by Allen Edel for The “New” Prostate Cancer InfoLink. Allen thanks Dr. Andrew Loblaw for allowing his to review the full text of the study by Helou et al.